A neck x-ray is a diagnostic test which can accurately visualize the bones in the cervical spine, but can not adequately image the soft tissues, such as muscles, intervertebral discs or ligaments. Therefore, the usefulness of x-ray in the diagnostic sector is incredibly limited. For indicated conditions, x-rays offer a cheap and fast tool for possible symptomatic evaluation.Unfortunately, when used inappropriately, x-rays can contribute to the misdiagnosis of neck pain, as well as providing more questions than they answer. We see this often in cases where x-rays have been the sole diagnostic tool used to sculpt a causative theory of pain. This dialog examines the positive and negative aspects of x-ray imaging when used for the express purpose of diagnosing neck pain. X-ray technology shows contrast in tissue densities, which works best to image hard tissues. The skin, muscles and ligaments will blend into the background, leaving a clear picture of the skeletal system in the imaged region. In the neck, this will show the partial skull, the cervical vertebral bones and possibly, the clavicle or scapula, as well as the bones of the upper arms. X-rays were a miracle of medical technology when first discovered, but now have lost much of their usefulness, since far more versatile diagnostic tools have been invented. For quick and inexpensive diagnostic testing, ultrasound and CT scan are the modalities of choice for many conditions. Meanwhile, for thorough diagnostic evaluation, there is currently nothing better than MRI evaluation. 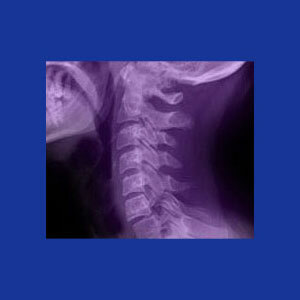 Vertebral fracture can almost always be clearly seen on x-ray films. Therefore, these tests of often performed immediately after trauma, such as a fall, car accident or other potentially damaging incident. Scoliosis, and other side-to-side abnormal spinal curvatures, can be diagnosed using x-ray. Lordosis and kyphosis abnormalities can be seen clearly using x-ray evaluation. Both hypo and hyper versions of both conditions will be easy to see with x-ray alone. Most cases of cervical spondylolisthesis can be identified with x-ray imaging, as can possible contributory spondylolysis fractures. Many forms of arthritis can be clearly seen with x-rays including some types of spinal stenosis, facet joint arthrosis, bone spurs, endplate changes, etc. 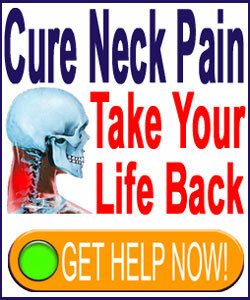 Neck muscle pain syndromes will not provide any data using x-ray imaging. Intervertebral disc pathologies will not be able to be successfully imaged using x-ray. The lack of disc space will be visible, but it may be impossible to differentiate desiccation from herniation from rupture without CT or MRI evaluation. Pinched nerves and other neurological concerns will not be seen on x-ray films. Basically any pain syndrome which is not caused by a bone issue will not be usefully studied using x-ray technology. When used appropriately, x-ray can help pinpoint or rule out potential sources of pain. When used incorrectly, x-rays can create the basis for mistaken diagnostic conclusions and may even sometimes be used to frighten a patient into unneeded care.